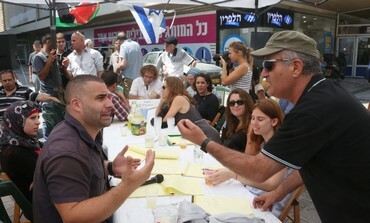 Palestinians, Israelis gather in Jerusalem to sign a people’s peace treaty – TRUTH IN MEDIA: TRUTH TRUMPS POWER EVERY TIME! Here’s an Aug 25 story from Jerusalem Post that illustrates what would happen if our warmongering governments get out of the way. PEACE would break out all over the world.